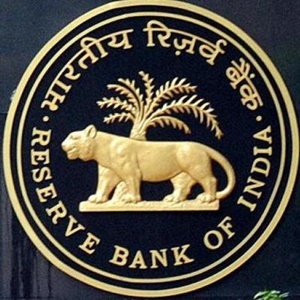 RBI Grade B Result 2018: The Reserve Bank of India released the RBI Grade B examination result of 2018 at rbi.org.in. Candidates can check Shortlisted Candidates for Phase-II and download the results from the official website. The RBI had conducted the Phase-I examination on 16 August for the recruitment of Grade B Officers for General Recruitment (DR), Department of Economics and Policy Research (DEPR) and Department of Information and Statistics (DSIM). The candidates who qualified the Phase 1 exam can now appear for the Phase-II. The Phase-II examination is scheduled to be held next week, on 15 and 16 September, in two shifts. How to check RBI Grade B Results 2018? Step 6 – Download the pdf and save it. Examination for Phase II examination for GR B DR (General) – 2018 and Paper III and Paper II examinations for DEPR and DSIM – 2018 will be held on September 15th/ 16th September 2018 (Please check admission letters for date, time and venue of examinations). Note: Links to download the admission letters containing examination timings and Information Hand-outs etc ., will be available on RBI website www.rbi.org.in shortly. B. Individual Mark Sheet & category-wise cut off ONLY for Gr B DR (General)-2018 Phase-I examination will be displayed in interactive manner on the website within a fortnight. The Phase-II online examination for Gr B DR (General) 2018 will be conducted, only for the candidates who are shortlisted on the basis of results of Phase-I examination. This examination will be in two shifts. Candidates are required to appear in both the shifts. SEPERATE ADMISSION LETTERS SHOULD BE DOWNLOADED FOR MORNING AND AFTERNOON SHIFTS from RBI website. The time of Phase-II examination/shifts and venue of examinations will be indicated in both the Admission Letters. The link for downloading Admission letter, Information Handout for Phase-II exam & Instruction to PwBD candidates/ Joint undertaking / Declaration form, for PwBD using scribe, will shortly be made available on RBI website. Centre for phase –II exam will be the centre for Phase II examination as opted by the candidates in their online application. No request for change of center / venue will be entertained. The Paper-II and Paper III examinations for Officers in Gr ‘B’ DEPR and DSIM- 2018 will be conducted, only for the candidates who are shortlisted on the basis of results of Paper -I examinations. Candidates are required to appear in both the papers (Paper II and Paper III). SEPERATE ADMISSION LETTERS SHOULD BE DOWNLOADED for examinations from RBI website. The time of Paper II and Paper III examinations and venue of examinations will be indicated in both the Admission Letters. The link for downloading Admission letter, Information Handout for Paper-II & III exam & Instructions to PwBD candidates/ Joint undertaking / Declaration form, for PwBD using scribe, will shortly be made available on RBI website. Centre for exam will be the centres as opted by the candidates in their online application. No request for change of center / venue will be entertained.